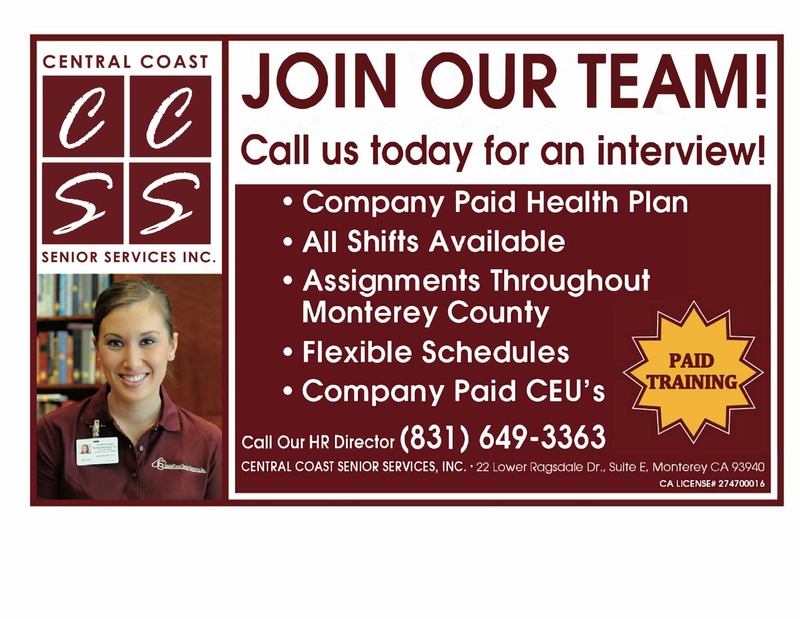 Why Choose Central Coast Senior Services, Inc. | Central Coast Senior Services, Inc.
Why Choose Central Coast Senior Services, Inc. Your goal is to stay at home. We can help. Given the choice, most people prefer to age in their own homes. Central Coast Senior Services, Inc. has a well-deserved reputation for providing excellent in-home care so seniors can safely make that choice. Since 1996, Central Coast Senior Services, Inc. has provided compassionate care for seniors enabling them to enjoy the comfort and familiarity of their own home. Our team of trained professionals go beyond typical caregiving needs to maintain or improve our clients’ comfort and quality of life. More than 20 years later, we continue to provide the same professional and compassionate in-home care, but have also added Assisted Living with Casa Carmel and Adult Day Care with Generations by the Bay. Whatever your needs are, we want to help. Learn more about the services Central Coast Senior Services, Inc. offers here: What We Do.